For well over 100 years, Europe has been the world's leading chemicals manufacturing and exporting region but this position has been challenged by the exponential growth in Asia. 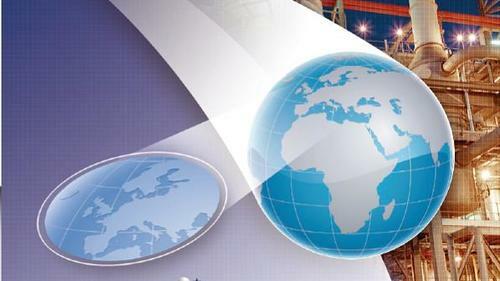 During the past 10 years, we have witnessed the shifting of the center of gravity of the global chemical industry eastwards to areas such as the Middle East, China, India, and Asia as these countries have become the preferred focus of attention of investors. The huge volumes of new production capacity that have been brougt onstream or are under construction in these regions will have a significant impact on the leading position that Europe has so far enjoyed. At the same time, Europe has not found itself completely out of favor in attracting chemical investment. A mature chemicals-producing region, Europe has benefited from substantial ongoing investment in expanding and debottlenecking existing plants, and modernizing plant operations. The result is that Europe has been steadily consolidating and strengthening its manufacturing base, which has helped to position the region to meet the challenges it has faced since the onset of the global economic crisis. The global economic crisis and its consequential effects on the global chemical industry are resulting in a shake out of production capacity worldwide. Many older, smaller chemical plants will be the victims of this shake out, but most of these are expected to be non-integrated plants. However, plants located in large integrated sites or clusters have a greater chance of survival due to the considerable cost benefits of these plants. In this respect Europe enjoys a special position in the global industry because of its strong integrated sites and clusters. Europe – your location of choice -With its unrivalled chemical business culture and tradition, Europe offers today’s international chemical company everything it needs to achieve its manufacturing, marketing and financial growth ambitions in a stable and low-risk environment. ECSPP is looking to increase its membership and raise awareness of what Europe has to offer as an investment location. The organisation is also strengthening its links with other well-established European institutions, including the European Chemical Regions Network (ECRN), the European Petrochemical Association (EPCA) and the European Chemical Industry Council (Cefic). With the attention of the chemical industry focused on exploiting the low cost feedstocks in the middle east and the growth markets of Brazil, russia, india, china and south east asia, this report provides a timely reminder to policy makers, chemical companies and logis- tics service providers of the significant opportunities for improving business potential in europe’s chemical clusters. europe is still the largest, most sophisti- cated global market for chemical products, with a well developed, efficient, highly productive asset base, sound infrastructure, leading edge research and development and significant purchasing power. provided these advantages are sustained, including continued attention to asset maintenance and operational and supply chain improvements, europe can remain a competitive force in the global market place, despite what the doom-mongers may say to the contrary.